Mongolia has a long history of herding animals which consists of 5 different species. Cattle, horse, sheep, goat and camel. With nearly 80 million livestocks, almost 40% of them are sheeps. The so called grassland of central Asia, Mongolia has a pure organic soil and grass. Mongolian sheeps are flavorful, healthy and high in nutrition. The meat is processed in the state of the art slaughterhouse certified Halal way. We are one of the leading exporters of Halal meat in Mongolia. Our team aim to provide customer satisfaction, fast and reliable service, and flexible payment terms. Short on time? Let halal-meat sellers contact you. We supply healthy, nutritutious, hygenic halal frozen beef, halal frozen/ chilled goat/ sheep carcass or mutton cubes, halal frozen chicken, animal tallow, chicken feet at highly competitive pricing. Halal meat Boneless or four part. Cow. Buffalo. Beef. Mutton and lamb chilled and frozen. Chicken including chicken feet. Everything processed in state of the art slaughter house with halal certificate. We have advantage over others as we also provide in-house shipping and logistics for reefer cargo. We can supply regularly halal beef, bonless or with bone, rabbit meat, beef offals. 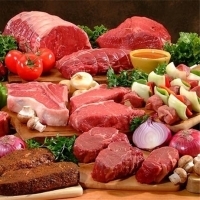 We can supply high quality of halal meat, chicken, beef, lamb european origine . Fresh Chilled Vacuum Packed Halal Boneless Buffalo Meat Products. 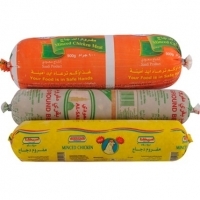 Fresh Chilled Vacuum Packed Halal Sheep/Mutton/Lamb Meat Products. Fresh Chilled Vacuum Packed Halal Buffalo/Sheep/Mutton/Lamb Offals Products. Fresh Chilled Halal Sheep Carcasses. Fresh Chilled Halal Lamb Carcasses. Fresh Chilled Halal Mutton Carcasses. Fresh Chilled Halal Boneless Veal Legs. Fresh Chilled Halal Boneless Buffalo Legs. Fresh Chilled Halal Sheep/Lamb/Mutton Offals. Halal Kind Meats is seeking partners interested in investing in Halal abattoirs and farms in Australia, in partnership with Australian farmers. Australian export grade meat will be available for direct purchase by our investment partners for export to your home market, without the middleman.